This book is worth your while. I’ve finished my first time through it…there are so many things I could share about it but I’m going to keep my mouth shut, read it a second time and then comment. Extremely insightful, comforting, and endarkening…if you read it, you will know what I mean! Rules for being human – not a full list but a pretty good one nonetheless! You were created to be in relationship with God. Find your identity, purpose and meaning there. All other substitutes will fail you. You were created to be a relational being. Get used to people…you will be stuck with them for eternity. You will receive a body as a gift. You may like it or hate it, but it will be yours for as long as you live as God’s gift. How you take care of it or fail to take care of it can make an enormous difference in the quality of your life. There are no mistakes, only lessons. Growth is a process of trial, error and experimentation. You can learn as much from failure as you can from success. Maybe more. Suffering is often the ONLY way that your attention can be pried away from your obsession on yourself. God works in and through pain and suffering bringing about “resurrection” in surprising ways. A lesson is repeated until it is learned. A lesson will be presented to you in various forms until you have learned it. When you have learned it (as evidenced by a change in your attitude and ultimately your behavior) then you can go on to the next lesson. God’s mercy flows through mistakes and the recovery from the mistake. “There” is no better than “here”. When your “there” has become a “here” you will simply discover another “there” that will again look better than your “here.” Don’t be fooled by believing that the unattainable is better than what you have. What you make of your life is up to you. You have been given personal tools and resources. What you create with those tools and resources is up to you. It is your responsibility. Be careful not to define your “success” culturally but by means of God's Kingdom. You cannot keep up with the "Jones, Garcias, Chins, or Swensons." Be grateful for what your life is. Jesus says “successful” living is seen in our desire to love God and love others. The answers don’t always lie inside of you. There are those who want you to believe that you are your own god. You are not…solutions to problems in life are definitely within your ability to grasp but not all solutions. You need to do is ask, look, listen and trust God. You are only as “sick” as your secrets. Stuff that you “stuff” inside of you will fester and infect your heart. Transparency and authenticity is how you were created to live. Whatever you pay attention to will get “bigger.” Focus on pain and it will get worse…focus on problems and they get bigger…focus on God and God will be “magnified” as your problems are put in a new perspective. You will keep doing what you are doing until it costs you more than you are willing to pay. Emotional pain is costly. Overtime it will kill relationships and drag you down. You are in control of what you stop and start in your life. Learn now that you cannot make someone love you. All you can do is be someone who can be loved. The rest is up to them. Learn NOW that no matter how much you care some people just don't care back. You can’t force someone to care for you. You can only give care. Learn NOW that it takes years to build up trust, and only seconds to destroy it. Trust is “truth in relationship.” Once that true shatters, it takes a while for truth again to reign. Learn now that your background and circumstances may have influenced who we are, but we are responsible for who we become. “I am responsible for my life”…say that every day. Blaming not only doesn’t help but it is doesn’t do any good. You are responsible for what you do, no matter how you feel. You either control your attitude or it controls you. Attitudes are infectous so spread a good one. Yes, we all get angry. You have the right to be angry, but that doesn't give you the right to be cruel. No matter how good a friend is, they're going to hurt you every once in a while and you must forgive them for that. All relationships grow in and through chaos and subsequent forgiveness. Accept that as a fact or find yourself very lonely. Sometimes you have to learn to forgive yourself. You are actually a person who does not love yourself enough. Again, why do something “original” when you can read this! I ripped this off from someone I know…he posted it on Facebook and I was awestruck by it and its profundity. The author is Scott Dannemiller. He is a writer, blogger, worship leader and former missionary with the Presbyterian Church. He writes the blog The Accidental Missionary, where this post first appeared. I give him credit…HERE'S where to check out his site…and thank Graeme for the posting! I answered my buddy's question with, "Definitely feeling blessed. Last year was the best year yet for my business. And it looks like this year will be just as busy." The words rolled off my tongue without a second thought. Like reciting the Pledge of Allegiance or placing my usual lunch order at McDonald's. Now, before you start taking up a collection for the "Feed the Dannemillers" fund, allow me to explain. Based on last year's quest to go twelve months without buying anything, you may have the impression that our family is subsisting on Ramen noodles and free chips and salsa at the local Mexican restaurant. Not to worry, we are not in dire straits. I've noticed a trend among Christians, myself included, and it troubles me. Our rote response to material windfalls is to call ourselves blessed. Like the "amen" at the end of a prayer. "This new car is such a blessing." "Finally closed on the house. Feeling blessed." "Just got back from a mission trip. Realizing how blessed we are here in this country." On the surface, the phrase seems harmless. Faithful even. Why wouldn't I want to give God the glory for everything I have? Isn't that the right thing to do? As I reflected on my "feeling blessed" comment, two thoughts came to mind. I realize I'm splitting hairs here, creating an argument over semantics. But bear with me, because I believe it is critically important. It's one of those things we can't see because it's so culturally engrained that it has become normal. But it has to stop. And here's why. First, when I say that my material fortune is the result of God's blessing, it reduces The Almighty to some sort of sky-bound, wish-granting fairy who spends his days randomly bestowing cars and cash upon his followers. I can't help but draw parallels to how I handed out M&M's to my own kids when they followed my directions and chose to poop in the toilet rather than in their pants. Sure, God wants us to continually seek His will, and it's for our own good. But positive reinforcement? Second, and more importantly, calling myself blessed because of material good fortune is just plain wrong. For starters, it can be offensive to the hundreds of millions of Christians in the world who live on less than $10 per day. You read that right. Hundreds of millions who receive a single-digit dollar "blessing" per day. I'll take door number three, please. If we're looking for the definition of blessing, Jesus spells it out clearly (Matthew 5: 1-12). 1 Now when he saw the crowds, he went up on a mountainside and sat down. His disciples came to Him, 2 And He began to teach them, saying: 3 Blessed are the poor in spirit, for theirs is the kingdom of heaven. 4 Blessed are those who mourn, for they will be comforted. 5 Blessed are the meek, for they will inherit the earth. 6 Blessed are those who hunger and thirst after righteousness, for they will be filled. 7 Blessed are the merciful, for they shall be shown mercy. 8 Blessed are the pure in heart, for they will see God. 9 Blessed are the peacemakers, for they will be called the sons of God. 10 Blessed are those who are persecuted because of righteousness, for theirs is the kingdom of heaven. 11 Blessed are you when people insult you, persecute you and falsely say all kinds of evil against you because of me. 12 Rejoice and be glad, because great is your reward in heaven, for in the same way they persecuted the prophets who were before you." I have a sneaking suspicion verses 12a 12b and 12c were omitted from the text. 12a Waitest thou for one second, Lord. What about "blessed art thou comfortable," or 12b "blessed art thou which havest good jobs, a modest house in the suburbs, and a yearly vacation to the Florida Gulf Coast?" 12c And Jesus said unto them, "Apologies, my brothers, but those did not maketh the cut." So there it is. Written in red. Plain as day. Even still, we ignore it all when we hijack the word "blessed" to make it fit neatly into our modern American ideals, creating a cosmic lottery where every sincere prayer buys us another scratch-off ticket. In the process, we stand the risk of alienating those we are hoping to bring to the faith. The truth is, I have no idea why I was born where I was or why I have the opportunity I have. It's beyond comprehension. But I certainly don't believe God has chosen me above others because of the veracity of my prayers or the depth of my faith. Still, if I take advantage of the opportunities set before me, a comfortable life may come my way. It's not guaranteed. But if it does happen, I don't believe Jesus will call me blessed. He will call me "burdened." He will ask, "What will you do with it?" "Will you use it for yourself?" "Will you use it to help?" "Will you hold it close for comfort?" So my prayer today is that I understand my true blessing. It's not my house. Or my job. Or my standard of living. Since I had this conversation, my new response is simply, "I'm grateful." Subversive Followership – you read that right! "I love Jesus does He know, have I ever told Him so, I must tell Him everyday, I must tell Him when I pray…" Verse two of the children's song,"Jesus loves me." You might NEVER consider yourself as a subversive. In fact, you probably hear the word subversive and quickly begin to intellectually entertain images of the 1960's or times in history which have been dominated by revolution. Most Jesus followers are much more apt to think of themselves as a small child in a loving embrace with their best friend, Jesus. To consider Jesus hearing our prayers and listening to our feeble attempts to worship His goodness and grace and giving a few bucks to causes that further what we consider to be His "work" is the extent of our imagination for being a disciple. Yet, have far from the truth could this belief be…from Jesus Himself, through the early followers of the Jesus movement, being subversive was the "main thing" of Christianity…why? Because the faith, because the power and presence of Jesus is inherently counter-cultural. 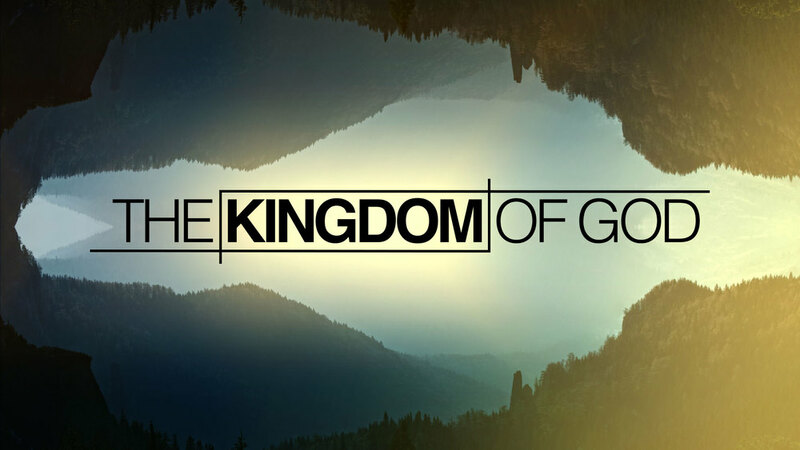 It proclaims that there is a Kingdom that is MORE important than this earthly experience…it proclaims that there is meaning beyond cultural meaning and that there is power inherent in being aligned with God's Kingdom that trumps any power that can be presented by what we experience around us. 1 – Subversives know your battlefield. * Culture of Betrayal – people are suspicious and cynical of all institutions and systems of authority which leads to either rage or numbness. * Culture of arrogance – people's emphasis on the "I"…that sense of being self-made leads only to self-centeredness and narcissism. The bible was NOT written just for us and our edification. The importance of the written Word of God is that it is just one way that the Living Word (Jesus) reveals Himself in the context of our lives. The living truth/Word cannot be owned or parochially handled. We submit ourselves to "it" (better yet, Him) not vice versa. * Culture of Suspicion/Incredulity toward all Meta-narratives – I know that is a mouthful, so let me tell this story: people are justifiably suspicious of all the grand stories of the past. Many are seen as destructive lies (e.g. Marxist utopia, Technological progress promise, Myth of capitalism, even the Christian story). They have not freed people but enslaved, oppressed and led to violence. * Culture of Distrust of traditional human "anchoring" points – things like community, clubs, churches, neighborhoods and families have become dismantled or severely reinterpreted by people with agendas that rob them of personal meaning. Our moral, relational and personal anchors are, in many respects, non-existent. * Culture of Post-rationalism – nothing can be "scientifically proven" it has to be experientially proven. And because experience is so individualistic, there is no prevailing meaning or purpose. * Culture of Consumption – we have been defined by our appetites. People are so bored that we fill our world with worldview options and consumer-directed faiths…everything is available to our tasting and consumption. Somebody that I respect called our culture a "carnivalesque"culture, one filled with superficial, entertainment based options without depth and transformational potential. * Culture of Crushing Despair as well as Naive Optimism. In other words, people are either feeling destroyed or they are living in a fantasy world. a. It appeals to the imagination of a new world. b. It appeals to shaping the imagination of community. 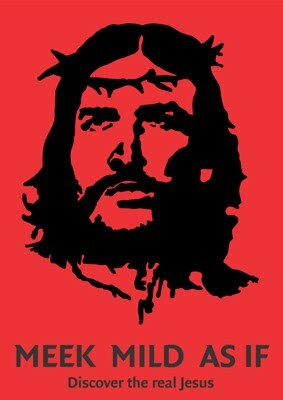 c. It appeals to a reimaging of world with Jesus as Lord. d. It appeals to us to immerse ourselves in a bigger narrative that can so permeate our imaginations that we can be transformed. e. It challenges the split-vision worldview that divides faith from life, church from culture, theology from economics, prayer from politics and worship from everyday work. As long as the culture can keep us engaged in pietistic individualism, we will never impact the world. As long as we are convinced that "religion is a private matter" we essentially leave the shaping of public and dominant imagination to culture. f. It shares with us a worldview that is a vision FOR life (not just a vision OF life). It gives a lens to interpret the world and is prescriptive for the world in that it provides the community with its most foundational values and norms. For example, in a world where truth claims are reduced to power struggles between competing interests, the bible tells us that power games are not worth playing. Jesus is doing something different. g. It tells us some very significant and dangerous things – here's something to consider, fellow subversives: Christ followers must succeed from one order in order to join another. Succeed from the union of power, money, ambition and ignorance or genius, the disciple of Jesus walks quietly away. Christ followers must bear no other IMAGE but the image of God. We "put to death" the vestiges of culture and "strip off" the old self that was deformed by that culture, with a call to the resurrection life of the new self that is clothed in a different set of virtues. If the story of the broken world no longer has a hold on you, then the good news of Jesus can shape your character. Parker Palmer put it this way, "to know something or someone in truth is to enter troth with the known…to become betrothed, to engage the known with one's whole self". * People ground their identities in possessions, triumphs – "the more we plaster our names on everything we accumulate, the more we cling to surface and style, the less we find underneath"
* While spirituality becomes secularized buying and consuming become vehicles for experiencing the sacred. The infinite longing of the heart has been interjected into objects – the newest, the best, the costliest, and the always interminably improved. Our malls are our new cathedrals…eternity is a cologne…infinity is found in a car. One's heart can be anchored in the promise of possessions. * Culture – is a cult. It is a system of revelation. It is the entire range of corporate ritual, of symbolic forms, human expressions, and productive systems. It quietly converts, calls for commitment, transforms, inspires heroics, and emits a sense of fulfillment. Culture does not teach, it propagandizes. It is an idolatry – in whose image humans are recreated and diminished. * A Gospel is a revelation – an ultimate source of reference wherein we find ourselves revealed. A Gospel is a response to the questions of who we are, what we may hope for, how we may aspire to act, what endures, what is important, what is of true value. * Following Jesus, if it is real and true, does not merely change the way you worship…it changes the way we play, work, buy, sell, love, do life. * The movement of Christianity defines the ultimate in terms of God's Kingdom breaking into the world to redeem a new global community. Jesus tells us that we will find our ultimate satisfaction not in seeking life but in losing it in service to others. * We can no longer be adherents to dualistic discipleship. In spite of all the talk about Christ's Lordship, everyone knows that the expectations of the culture comes first. That is the unspoken façade of modern Christianity. Christ followers tend to make decisions like everyone else – based on income, professions and social status. Modern Culture shapes our lives – overwork, single-family detached homes, congested time schedules. * Following Jesus can no longer be trivialized as little more than a devotional lubricant to keep us from stripping our gears when pursuing our own lives. It has been reduced to quiet times and Sunday mornings…highly privatized and spiritualized and disconnected. Modern culture defines the good life. * The first community of followers turned the world upside down. They were constantly challenging the dominant values of their culture AND paying the price. The contemporary church often is one of the strongest apologists for protecting the dominant values of the world. The church should be a counter-cultural community. * Being a Christ-follower is not something that you work around the edges of an already overcommitted life. It is a whole-life proposition…it challenges us to reorder our entire existence. Instead of trying to excuse what Jesus actually said, followers act on what the Lord commands. Why even bother when you can read this! When I was the father of young children. . . several years ago but not really that long ago. . . I heard my friend Ken Davis say something that hit me like a brick and has stuck with me ever since. Ken said, “One day I was holding my little baby in my arms. . . and then I blinked. . . and she was heading off to college.” Message received. Ken was warning us that time does indeed fly by. Now that I’m looking in the rear view mirror of my own life and my kids are all adults, I realize just how right he was. Ken’s intent was to prompt intentional parenting. The days go by so fast that we don’t want to miss any thing, any moment, or any opportunity. Again, so important and so, so right. I was thinking about Ken’s words early this morning as I looked out our back window at a swing set that’s sat dormant for years. It used to be filled with playing and laughing kids. . . my kids. . . who are now all adults. The wood on that swing set is faded, worn, and splintered. Quite honestly, it’s not fit for children to climb on anymore. But I can’t bring myself to take it down. Too many good memories. I’m thinking I’ll fix it up sometime soon so that my grandchildren can enjoy it. Time flies. And I’m glad that I heard and heed Ken Davis’s advice. Hopefully, we won’t be hearing those words uttered from our own lips. I don't know where I picked up the following words…all I know is that they were in my devotional folder on my computer. Maybe they are there anonymously because I needed to be blindsided by this topic in the future…maybe they are there because somebody "inserted" them into my computer without my knowing as a "hint"…maybe they are there for some other unknown reason that is ONLY known to God. No matter what, I need, better yet, YOU and I both need some encouragement on humility. Most Christ-followers that I know are more likely to joke about humility than they are to pray for it. In a culture that tells us it's normal to be selfish to the point of excess, humility almost seems like some kind of personality disorder. Overtly humble people are deemed worthy of medication in some circles. Even so, people who follow Jesus are unavoidably confronted with humility in the teaching of Jesus. One of the basic problems with many of our "versions" of a faith journey is that we talk a great deal about Jesus but we don't want to be like Jesus or live in imitation of Jesus. We need to answer the question of why Jesus tells us to humble ourselves and that that command is so often ignored. Why is humility important in the Kingdom of God, in our relationships and families? Jesus' words about humility are ALWAYS pro-active. Jesus doesn't talk about a humility that we adopt when we've been humbled. 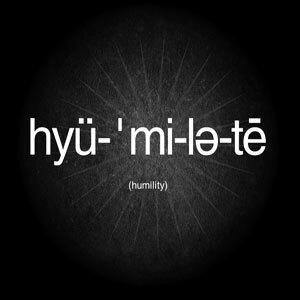 That kind of humility is valuable in life, but it isn't the kind of humility Jesus is teaching. He is teaching us to choose humility when there are other options. He wants us to believe in a Kingdom where the humble are exalted by the One who humbled Himself for us. Jesus wants us to choose humility now. Humility needs to be a prevailing value in our lives as Christ followers. Yet, and you know this to be true, it smacks inconsistent with how many of us feel on a day to day basis. Do a gut check…how can you be happy if you aren't the center of attention? How can you be satisfied if people aren't making much of you? How can your life have significance if you aren't on the front row and your picture on the front page? You see, Jesus is asking us to make a different choice in regard to happiness, satisfaction and significance. He asks us to begin subverting the world-system that's taken root in our minds, homes and bank accounts. Perhaps the best application for this point is to stop right now and ask the Lord, "What is the step of humility that is in front of me now? Show it to me." I do not doubt that if you pray that way, and meditate in silence open to the answer, God will show you what you've seen and passed over many times. Some move in the direction of humility that you've simply avoided, but Jesus is pointing to as the place where humility begins for you. From the desire of being approved, deliver me Jesus. That others become holier than I, provided that I may become as holy as I should, Jesus, grant me the grace to desire it. May the Lord Jesus grant you GRACE as you learn to live in His nature of humility and love. 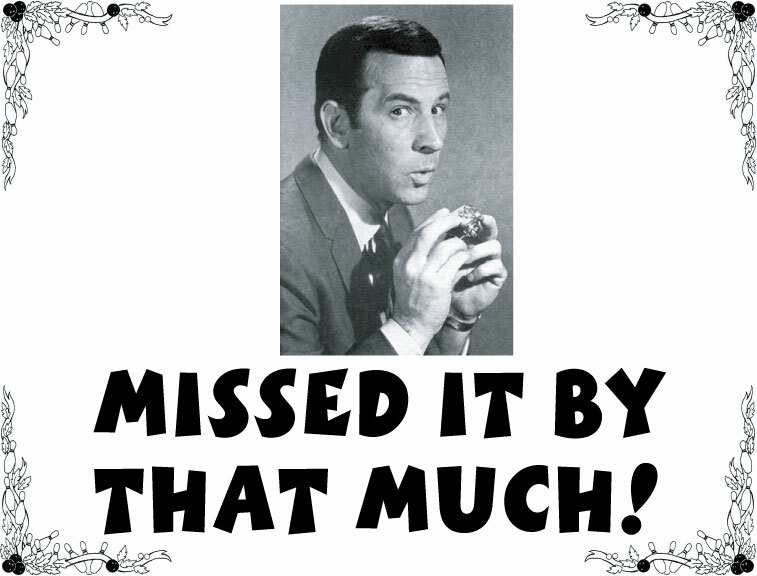 I was wondering what to post this week on my blog. As is my "pattern" in life, I spent about 30 minutes yesterday wondering if there was something "fresh" that I could write or something that was setting my mind at ill ease on which I could comment. Alas, too busy to be fresh, bold, or mindfully responsive. So the next best thing? Borrow! And that's exactly what I'm doing today. Many of my bible students ask questions about that which is discussed below. As Scot McKnight says, some of these thoughts he explores more deeply in two of his fine books (listed in the article). For now, the BIG issue here is not so much the obvious topic but rather the hermeneutical (in other words, interpretive) paradigm behind the topic – action (praxis) and belief. It is important when making any "conclusion" about biblical teaching to be very clear on which is which. Pulling verses out of context and/or neglecting to weight them against the full scriptural text will not serve a faithful interpreter of the bible well. So, enjoy Scot's article from his blog today. As I said, as usual, Scot rocks! We believe and how we behave are not quite perfectly matched, at least not this side of the kingdom, but it is not unfair to say that what one believes is seen in how one lives. If you say you believe in God but never pray, or if you say you believe in forgiveness and hold grudges, or if you say you believe God loves all but your circle of friends is restricted to folks like yourself — well, your acts reveal what you really believe or you have acted outside the bounds of your beliefs. Sometimes, however, it works another way: sometimes what we believe needs praxis to reveal what the beliefs entail. Sometimes the beliefs are such that the actual practices of those with those beliefs reveal that what we thought they believed is not how they understood their belief. Genesis 3:16: To Eve God says, “Your desire will be for your husband, and he will rule over you.” This is taken by some to mean the man’s “role” is to “rule” and the woman’s “role” is “to be led by her man.” Subordinationism for the woman, governance/headship by the husband. These two silence texts are taken by some to mean that women are not to be elders or teachers or pastors or preachers or stand behind the pulpit on Sundays in front of a mixed congregation of males and females [here all kinds of gymnastics have been created, like "adult" males or "Sunday services" etc]. 1 Timothy 3:1: Here is a trustworthy saying: If anyone sets his heart on being an overseer, he desires a noble task. 2 Now the overseer must be above reproach, the husband of but one wife, temperate, self-controlled, respectable, hospitable, able to teach, 3 not given to drunkenness, not violent but gentle, not quarrelsome, not a lover of money. 4 He must manage his own family well and see that his children obey him with proper respect. 5 (If anyone does not know how to manage his own family, how can he take care of God’s church?) 6 He must not be a recent convert, or he may become conceited and fall under the same judgment as the devil. 7 He must also have a good reputation with outsiders, so that he will not fall into disgrace and into the devil’s trap. 8 Deacons, likewise, are to be men worthy of respect, sincere, not indulging in much wine, and not pursuing dishonest gain. 9 They must keep hold of the deep truths of the faith with a clear conscience. 10 They must first be tested; and then if there is nothing against them, let them serve as deacons. 11 In the same way, their wives are to be women worthy of respect, not malicious talkers but temperate and trustworthy in everything. 12 A deacon must be the husband of but one wife and must manage his children and his household well. 13 Those who have served well gain an excellent standing and great assurance in their faith in Christ Jesus. 1. Deborah judged all of Israel — which puts here at the top of the nation, over all things, including military, political, legal, and therefore also “religious” dimensions of life in Israel. Judges 4–5. This woman was subordinate to no man in Israel. She was above them all. 2. Huldah was a prophet, which means she spoke for God to the whole people of Israel. 2 Kings 22:14-20. She spoke for God. There was no male intermediary between her and God. That’s what prophets do — they hear a message from God and they speak for God to the people of God. 3. The Woman of Proverbs 31 did not work in the home (as it is said) but in the public sector. To be sure, she honors her husband. She buys and sells out of her own monies (surely this does not refer to her allowances). Her husbands “praises” her. She gets public honor for her work. I see precious little here that indicates hierarchicalism; instead, what I see is a man who loves his wife and a wife who loves her husband and who both work for the good of the family. 5. The daughters of Philip were prophets (Acts 21:9; to call someone a “prophetess” might diminish her gift so I prefer to use the same term), and a prophet spoke for God to the people of God. They did this. 6. Priscilla taught Apollos (Acts 18:26). It does not say she taught in subordination to her husband; it says “they” taught him. 7. Phoebe, and this is a text that deserves some consideration, was a deacon (not just “servant” as in 1984 NIV, but “deacon” as in NIV 2011). She “deac-ed” — which means she did the things in 1 Tim 3 pertaining to deacons. What I’m getting at is this: though 1 Timothy 3 assumed both elders and deacons were males, this text definitively proves that women could be deacons too. Which means this: our assumptions that only males could be deacons are wrong. Paul’s rhetoric seems to offer a set of beliefs that indicate women could not be deacons, when the praxis shows they were deacons. Praxis shows what Paul meant when he said what he said in 1 Timothy 3. 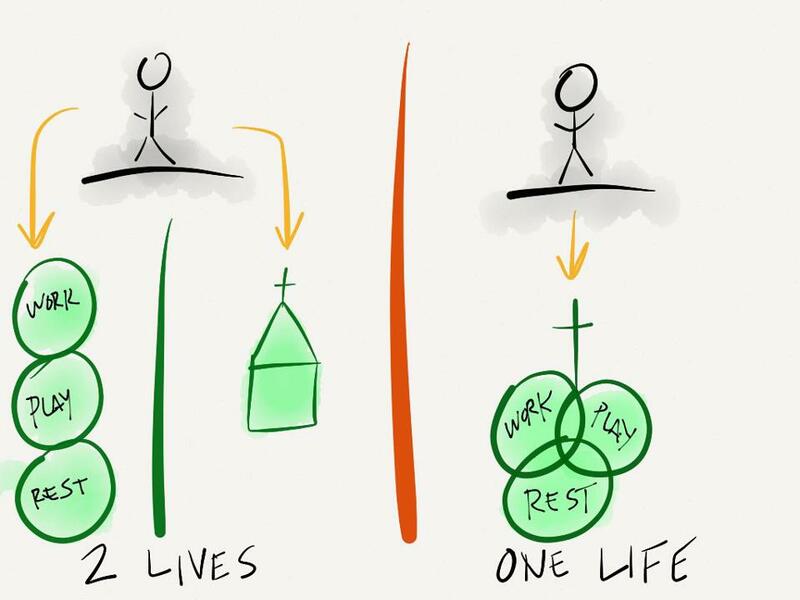 Our interpretation of 1 Tim 3 must fit Paul’s actual praxis of deacons. Now a question: If this is the case with deacons, what prevents us from saying the same of elders/overseers? Nothing other than our assumed interpretations. If with deacons, so also with elders. The beliefs are seen more accurately when the outworkings of those beliefs are visible in practices.